Wat Prayurawongsawas, commonly known as Wat Prayoon, is a royal monastery, being situated on the west bank of the Chao Phraya River at the foot of the Memorial Bridge in Thon Buri, Bangkok. 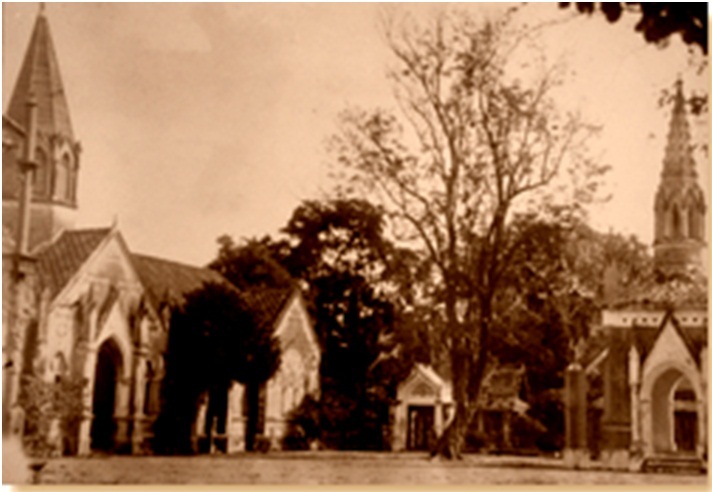 It is one of the ancient monasteries of the ealy Rattanakosin period, having been built in 1828 by the Minister in charge of the Royal Treasury, Foreign Affairs and Defence, Chao Phraya Phra Klang (Dit Bunnag) –later to be known as Somdet Chao Phraya Borom Maha Prayurawong–who dedicated his coffee garden for constructing the monastery. 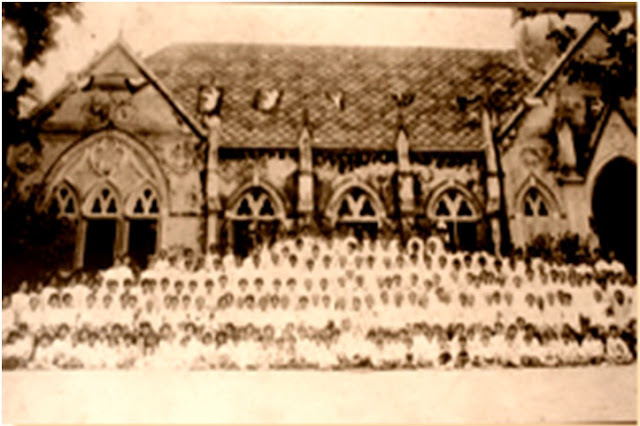 In 1832 the monastery was declared a royal monastery by KingRama III under the name of WatPrayurawongsawas. Wat Prayurawongsawas was built by Chao Phraya Phra Klang (Dit Bunnag), the Great Noble man of the Bunnag family. He was one of the most politically powerful men of the ealy Rattanakosin period. The Queen of King Rama I was formerly known as “Nak”, with the title Somdet Phra Amarintaramat, and she had a sister called “Nuan” who was later given the title Chao Khun Phra Ratchaphan. Chao Khun Nuan married Mr Bunnag and they founded the Bunnag lineage. Mr Bunnag was the close associate of King Rama I, prior to the King’s enthronement and he looked after the King’s family in the time of the Burmese war. 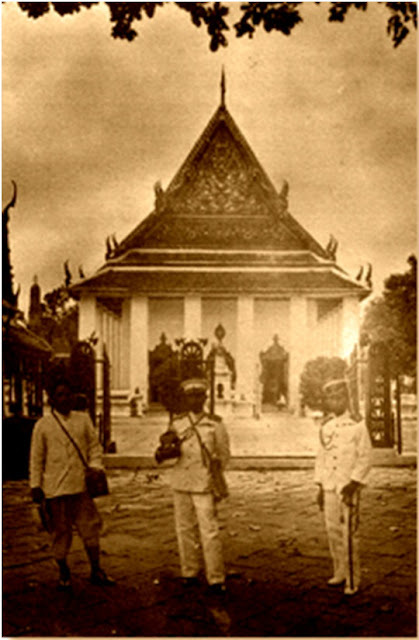 Later Mr Bunnag entered the service of the government and was given the title Chao Phraya Akka Maha Sena in charge of the Defence Ministry. This noble pair of Mr Bunnag and Chao Khun Nuan had a son called Dit Bunnag, titled Chao Phraya Borom Maha Prayurawong, who was the founder of Wat Prayurawongsawas. Somdet Chao Phraya Borom Maha Prayarawong had an original name as Dit who was born in 1788 and built Wat Prayurawongsawas in 1828. At that time, he was serving in the position of Chao Phraya Phra Klang, a Minister in charge of the Royal Treasury, Foreign Affairs and Defence. Chao Phraya Phra Klang (Dit) played very important role in inviting Prince Mongkut to ascend the throne as the King Rama IV. Later, he was bestowed into the position of Somdet Chao Phraya Borom Maha Prayarawong in 1851 and appointed Regent of Siam in the early period of King Rama IV. Somdet Chao Phraya Borom Maha Prayarawong passed away in 1855 at the age of 68. In front of Wat Prayurawongsawas are many revered objects and places of interest that are open to the general public. At the front gate on Prachathipok Road, a red iron fence can be seen leading from the gateway up to the Great Pagoda or Phra Boromthat Maha Chedi. The group of buildings on the south side of the iron fence, such as the royal chapel (uposatha, or ordination hall), a vihara, and a multi-purpose sala are in all in traditional Thai style. The buildings on the north side of the iron fence, however, such as the Parindara Pariyattitham sala, and the complex of buildings in the area of the replica mountain (Khao Tao) are a mixture of Thai and Western architectural styles. Wat Prayurawongsawas is often called the Wat Rua Lek (Iron-fenced Monastery) because of the red iron fence surrounding its walls. A part of iron fence leads from the gateway up to the Great Pagoda or Phra Boromthat Maha Chedi. The height of this fence is approximately one and a half metre and is constructed in the shape of ancient weapons, such as the lance, sword and axe. The fence has small arched entrances along its length. The common people believe that Wat Rua Lek (Iron-fenced Monastery) consists of 30,000 axes, 3 cannons, and 300,000 lances. There is a story told that this iron fence was ordered on behalf of King Rama III from the United Kingdom by Somdet Chao Phraya Borom Maha Prayurawong. It was intended to be used as the wall surrounding the Grand Palace but King Rama III did not take the offer.Then Somdet Chao Phraya Borom Maha Prayurawong asked for the iron fence to be erected around Wat Prayurawongsawas instead. The payment was made in sugar-cane equal in weight to that of the iron fence itself. 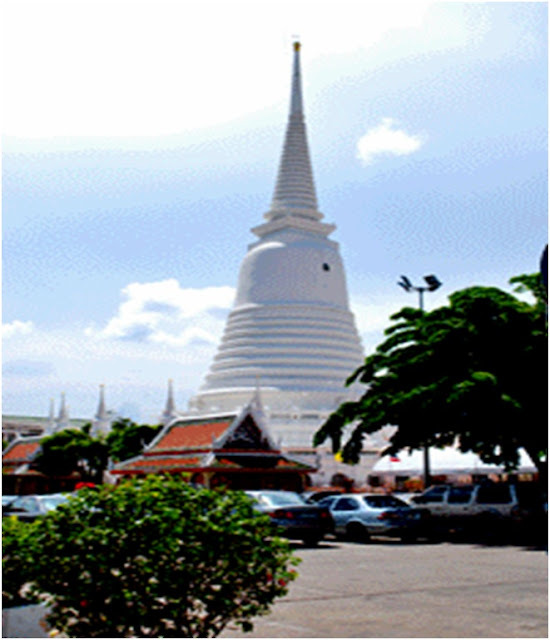 The Maha Chedi or Great Pagoda, in the shape of a bell, contains the Buddha’s relics. It is the largest of its kind in the Rattanakosin period, being 60.525 metres in height and 162 meters in circumference. 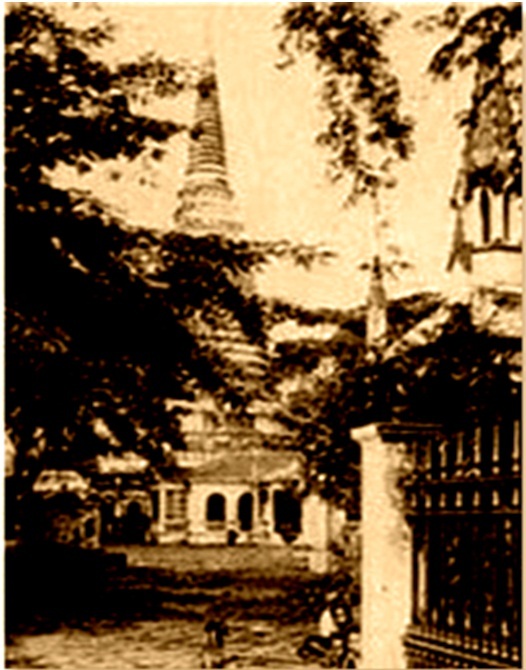 Somdet Chao Phraya Borom Maha Prayurawong (Dit Bunnag) initiated work on the pagoda but it was not completed within his lifetime. 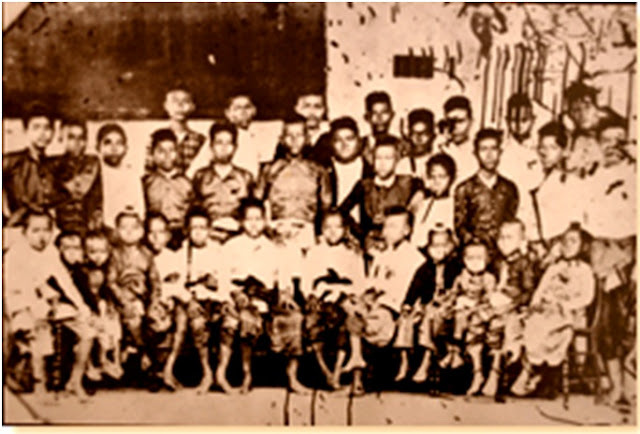 It was left to his son, Somdet Chao Phraya Borom Maha Sri Suriyawong, to finish the work during the reign of King Rama IV. ‘Phra Samu Pun has written this inscription on the principle of the Dhamma for inclusion in this pagoda on Friday, the 10th waxing moon, of the 8th lunar month, in the year of the Goat, when Buddha-Sasana has the year 2450 (1907) as its past and the year 2549 (2006) as its future. May this merit-offering become a refuge for Phra Wiriyaka Phothiyan in the future’. Although it was long since believed that the Buddha’s relics were enshrined in this pagoda, it was only during its restoration initiated in the year 2006 (B.E. 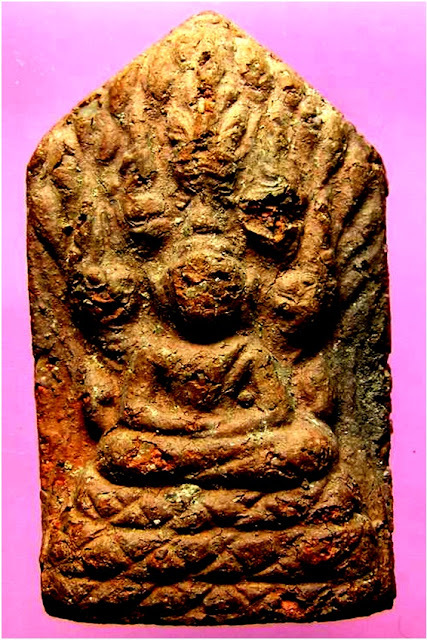 2549) by the present abbot, Phra Dharmakosajarn, that the Buddha’s relics were discovered in the top part of the pagoda on the 5th of November 2007 (B.E. 2550). H.R.H. Princess Sirindhon presided over the ceremony of re-enshrinement of 4 pieces of the Buddha’s relics in the pagoda on the 11th of December 2008 (B.E. 2551). Another 5 pieces of the Buddha’s relics remain enshrined in the Vihara of Phra Phutthanak. Wat Ratchaburana was built by King Boromaraja II (1424–1448) in memory of his two brothers Ay and Yi, who had killed one another in mortal combat for the throne. 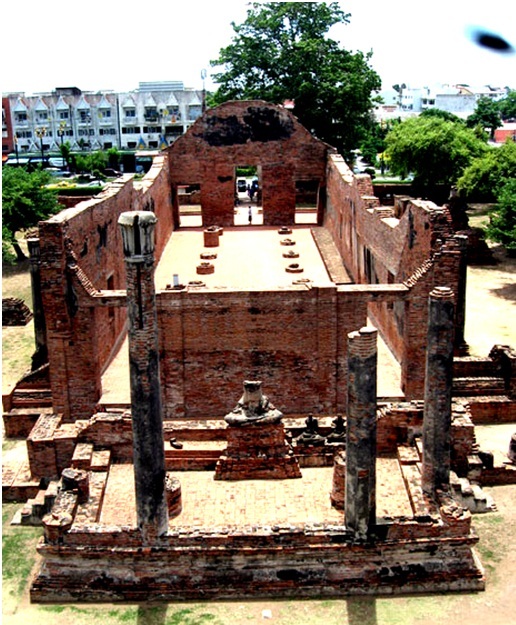 There are still some pillars and walls belonging to the viharn as well as the ruins of various chedis that surround the prang. Parts of the surrounding wall with lance-shaped portals also exist. The large prang itself is very well preserved. It features many sculpted details showing garudas attacking nagas. The two crypts in the lower part of the prang have some interesting murals. The painters were probably Chinese artists settled in Ayutthaya, who were able to incorporate a variety of styles such as those of the Khmer and Burmese as well as the Lopburi and Sukhothai styles to create an astonishingly harmonious result. Archaeological excavations of the prang between 1956 and 1958 also turned up more than 100,000 votive tablets. They were sold and the money thus raised was used to fund the building of the Chao Sam Phraya Museum. Votive tablets like this, which were taken on pilgrimages, were mostly made by shaping clay in moulds. They featured depictions of especially holy pilgrimage sites or simply pictures of Buddha. Further discoveries in the prang included wide bracelets encrusted with gems, a head-dress made with filigree gold as well as one solid gold head-dress adorned with precious stones, a five-piece crockery set for betel nuts, two spittoons and gold coins with Arabic inscriptions (most of these finds can be seen in the Chandra Kasem Museum). The Wat Ratchaburana prang is in a mixture of the Sri Lankan and Burmese styles that meld to create a wholly new architectural style. Some of the upper section is been quite well preserved. There was once a square platform with small chedis at every corner. Two more chedis at the crossroads contained the ashes of the two royal brothers, while a third commemorates Queen Si Suriyothai, who rode on an elephant into battle against the Burmese disguised as a man in 1550 and saved the life of her husband, only to perish herself. Close to her chedi, next to the totally obliterated Wat Lokaya Sutha, there is a huge reclining Buddha.